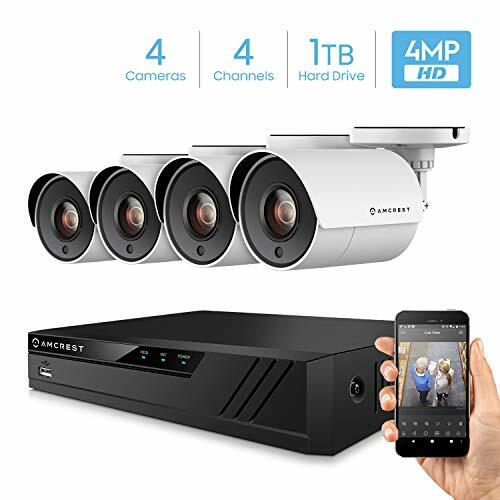 4-Channel UltraHD 4-Megapixel Video Security Camera System. See every detail in full 4-Megapixel UltraHD resolution (2688 x 1440). Configure your 4-Channel home security system as a traditional CCTV system, or connect to internet for mobile viewing. Transmit video and audio over a single BNC cable. DVR supports HDCVI, AHD, TVI, CVBS and IP Cameras. At Amcrest, we want to ensure the safety of our customers, their loved ones, homes, and businesses. You’ll receive a 30 day money back guarantee. a full 1-year US Warranty and Lifetime Support provided directly from Amcrest.